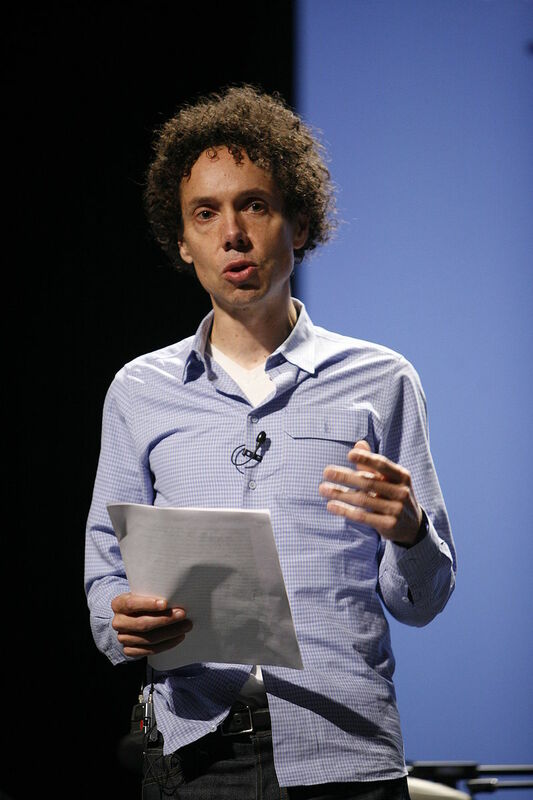 Esteemed essayist and bad debater Malcolm Gladwell has now entered the podcast game. And as one would expect, he’s already a formidable player. His new series, Revisionist History, is good. I’ve listened to three episodes so far and enjoyed each. However, I take issue with his criticisms of higher-education giving in Episode Six: My Little Hundred Million. Thus, a new post. My Little Hundred Million is the third in a series on higher education, a topic Gladwell is evidently passionate about. The episode condemns the relatively recent philanthropic phenomenon of multi-billion dollar gifts to universities that already have enormous endowments. Think Stanford, Harvard, MIT, University of Chicago, Columbia, etc (you can see a list here). Gladwell’s argument is that a major gift will have more impact if bestowed on a college or university system that needs the money more. This was the logic behind Hank Rowan’s $100 million donation to a small university in New Jersey (shunning his alma mater, MIT), which essentially kicked off the modern trend of billionaire gifts to universities. As usual, Gladwell attempts to add assurance to the argument he’s examining by tying it to some kind of named social science theory or statistical analysis. This time, he connects the idea to David Sally and Chris Anderson’s popular analysis on “weak-link” and “strong-link” players in soccer (see their book, The Numbers Game). Essentially, in certain sports, having weaker players hurts your overall chances of winning more than in other sports. Think about soccer. There are very few opportunities to score, so mistakes by weaker players have a proportionally higher impact. Then think about basketball. There are many opportunities to score. So typically, one dominant player–Michael Jordan, say–can make up for the weak links on the team. Therefore, having a few weaker players isn’t going to have as big of an impact in basketball as it would in soccer. Basketball is a strong-link game. Soccer is a weak-link game. Gladwell apparently sees higher education giving as a weak-link game, and is appalled by the prevailing strong-link mentality of donors and universities. And in some ways, Gladwell may be correct. I think often about philanthropy, particularly philanthropic efficiency and effectiveness. There is certainly waste and there is certainly mis-allocation of funds. But to make a strong call on the rightness or wrongness of a gift, you first need to agree on the 1) goals of the donor, 2) the timeline of impact, and the 3) type of difference the donor is trying to make. Gladwell doesn’t examine any of these in his criticisms, particularly of Phil Knight’s $400M gift to an unnamed graduate program at Stanford, initiated by outgoing president, John Hennessy. Instead, Gladwell assumes the goals for himself. He takes it for granted that donors should or do have the same goals, timeline, and types of impact in mind as he does. This leads to an overly broad conclusion and what is certain to be bad advice to billionaires in many instances: don’t give to top universities. Why is it bad advice? Let’s examine the conclusion in the context of goals. What if my goal, as a donor, is to cure a particular type of cancer as fast as possible. Should I not give to a top-tier research institution like MIT? Would it be better to give to a small state school, with hardly any medical infrastructure to speak of? In which instance is my goal most likely to be accomplished in the shortest amount of time? I think the answer is obvious. The same would go for a number of different scenarios. In My Little Hundred Million, we don’t hear from a single billionaire donor to a large university. Gladwell seems to assume the donors’ goals are (or should be) his goals: namely, supporting a “rising tides lift all boats” theory of education that will ultimately, in his view, lead to better economic output on the whole. Sure, that’s a fine goal*. But we don’t know if the donors have the same goal. And it’s their money. They’re smart people. Maybe they have a good reason or argument. Without talking to them about their objectives and rationale, it’s silly to broadly condemn, and Gladwell slips into a kind of simple, self-righteous moralism. It’s as silly as if I were to condemn him for not immediately giving his notoriously high speaking fees directly to, say, the Against Malaria Foundation**. After all, $80,000 for a speaking gig would buy some 18,000 mosquito nets in the DRC and Malawi, likely saving or pro longing hundreds of lives. Isn’t that better than spending money on podcast production? In any event, I still recommend the podcast. But even more strongly recommend that you listen with a critical ear. *Though I’m far from convinced by the economic output argument…wouldn’t the U.S. have a better chance of staying competitive if we gave more to universities that are already on the cusp of major innovations, rather than ones that need to catch up? **The Against Malaria Foundation, petulance aside, is an excellent charity. Well actually — I skimmed, but the crux of your argument seems to be “What if my goal, as a donor, is to cure a particular type of cancer as fast as possible. Should I not give to a top-tier research institution like MIT?” And I think that’s an incredibly flawed argument, for a whole host of reasons. But the simplest one is, is to simply reiterate the whole point of Gladwell’s podcast: MIT doesn’t need the donation, financially — because they’re still not utilizing all the money they have to begin with, as most of the returns on their invested endowments just go right back into the endowment. If you gave money to a top-tier research institution, chances are, they won’t accept more students (AKA bright minds to do the researching to begin with), and they won’t lavishly construct any new groundbreaking research centers (since they already could if they wanted to) and they won’t get any more “top-of-the-line equipment” (since, by standard definition, they should already have cutting-edge technology by being MIT), and the existing brilliant minds there won’t work any harder (because that’s a conceptual disconnect between a university and its students — more money for top university =/= top university’s temporary students being brighter and harder-working). Thanks for your reply. I might not have expressed this clearly enough, but my point was that if I, as a donor, wanted to cure cancer, a reasonable thing to do would be to give a restricted gift to MIT (like the one from Phil Knight to Stanford) that is ear-marked specifically to further develop their cancer-curing capabilities. I would not simply give to the MIT endowment or unrestricted. If I did that, then, as you say, the argument would be flawed. Also, endowments at entities like MIT keep talent and cancer-curing capabilities going in perpetuity, so if my goal wasn’t to cure cancer right away, but over time, I still think providing a gift to MIT would get me there faster than making a gift to a less endowed institution. If my goal is to lift all tides and provide more access to high-quality education for the greatest number of students, then Gladwell’s argument could be correct (if you accept the weak link theory) – which is that I should probably not give to already well-endowed entities. You seem to have missed his point entirely. The podcast starts with him stating that the weak link theory better explains why the industrial revolution (i.e. a society that breeds Innovation) kicked off in England rather than any other place, precisely because of the relative strength of it’s weakest members, not the strongest. Hence if we believe that argument, (and you are free to make up your own mind on that) then the exact argument you make about Universities already on the cusp on major innovations being more likely to innovate is flawed. Who judges who is at the cusp of innovation? It’s Wikipedia vs Encarta all over again. What is logical is not the way innovations tend to happen. The strongest players don’t necessarily provide the breakthroughs, Gladwell argues that bringing in the tide to lift all boats does. Also note, he never says you shouldn’t fund places that are doing good research, just that after a point the strongest player crosses a threshold post which the additional resources poured into it don’t give significant returns to the team as a whole. Thanks for your reply, I appreciate the response. This might not have been clear on my end, but my point was that Gladwell is a priori assuming donors’ main intention with large gifts to universities is to lift all tides and help create society-wide innovation (ala the weak link / industrial revolution argument at the beginning that you mention). However, if donors aren’t giving with that goal in mind, then Gladwell’s entire critique is misguided. For example, Phil Knight’s $400M gift to Stanford was to start a public policy program…it was not to foster a new industrial revolution…therefore any argument accusing Knight of being foolish for ignoring the weak link theory is senseless. He wasn’t trying to lift all boats. You have to consider the intentions of the donor before you critique the reasonableness of the gift. As I stated, if Gladwell were to simply make an ethical argument that it would be more moral to give $400M to another cause, or that Knight’s goals were not ethical because they weren’t directed at X, Y, Z, I might be more inclined to agree with him. With regard to large institutions not making major innovations, I was speaking of specific research areas. That is, MIT’s cancer team is so far ahead of small universities with talent, equipment, connections, funding, that they are almost certainly more likely to develop effective techniques than a smaller university. Therefore, if your goal is to foster breakthroughs in cancer research, giving to MIT would be more wise. This would only apply to specific, hard-science areas, however. Breakthroughs in, say, liberal arts, could come from almost anywhere. Biological science, however, is so complicated today and requires such interdisciplinary collaboration that it’s almost impossible to imagine a school without a solid infrastructure making any kind of headway in any short amount of time. I stumbled upon your article, and have to wonder where you earned your education. Upon a quick look at your blog, I cannot locate any information about you, the author. I can only hope that you’ve studied the phenomenon of bias and how it impacts output. Please share this information about the author. Hi Whitney. I don’t provide biographical information for a couple of reasons, but the most important is that I want the posts to be judged based entirely on the arguments being made, and not on the background of the author. Your argument is generally correct and there is, in fact, a “missing link” in Gladwell’s thinking: he implies all problems are similar and solved in similar fashion. In reality, problems come in different varieties and the “right” way to solve those problems also differs. Let us use one distinction (lots of people slice this issue in different ways, but we will use this as an example): complicated problems versus complex problems. How do complicated and complex problems differ? Complicated problems are assumed to have a clear relationship between cause and effect. The causal relationship of complex problems, on the other hand, cannot be determined ahead of time: cause and effect only becomes clear after the problem is solved. Many scientific problems are complicated problems. There is an assumed causal relationship and in such as situation it is best to bring in experts to work on a solution. This is the very basis of the scientific method. For example, if you set out to develop a drug for diabetes that would control the blood sugar level, you would be looking at diabetes as a complicated problem. You would look at a range of causes of changing blood sugar levels, and the related physiological processes, and then you would try to come up with a drug that had an effect on those causes, in order to manage the effect, blood sugar level. Diabetes can also be looked at as a complex problem. People eat too much sugar and heavily processed foods. They lead lifestyles which become less and less active as our modern world provides a great range of conveniences. How would you solve this kind of problem? You might try to look at adjusting people’s behavior, and you find yourself looking at the effects of advertising of snacks and sugary beverages. Or, people might be influenced by stress or peer pressure. Or, their work schedule may force them to buy convenient snacks rather that less-readily-available healthy alternatives. As your try to fix any one of these issues, others come into play. By the way you state it in your post, curing cancer would be more of a complicated problem. You believe that there are already experts (at MIT or some other famous place) who already understand many of the possible relationships that would need to be solved to come up with such a cure. Most likely (I assume), these would be biological or physiological relationships, which can be counted on to be consistent. If your assumptions are correct, it would be better to keep providing resources to those people. On the other hand, if you intend to solve complex problems (these are most often found when humans and human action is involved), then it is necessary to gets lots of people, and lots of different people, involved. Gladwell does not define them as such, but by implication he is focusing on complex problems, because he believes that providing more resources to lots of people would have more impact. The hard part: it is sometimes difficult to figure out whether a problem is a complicated or a complex one. Should we develop a drug for diabetes or encourage people (and perhaps companies and other organizations) to change how and what they eat (and do)? For me: I would agree that giving $100 million to find a cancer cure (might) make sense…and in that case, give it to the experts who have the greatest chance of making a breakthrough. But, for the goal of turning 100 people loose on working on whatever they want to work on…then I find myself agreeing with Gladwell: it would probably be better spent if it were spread out to lots of different people, in different walks of life. Gladwell argued the issue solely from educational philanthropy point of view and you wanted him to compare it with altruistic philanthropism, which is completely flawed ,because they are completely different matters. So who is the bad debater here? You’ve either misread or misunderstood my criticism. I am not criticizing Gladwell from an effective altruism point of view. I’m critiquing his criticism of other people’s higher education donations because he is assuming – rather than knowing – their intentions, goals, and timelines. I’m actually saying the exact opposite of what you seem to think I’m saying, which is that there is no CORRECT formula for making a gift – it’s dependent on your goals and the type of issue you’re donating to. Gladwell’s flaw is assuming there’s a right way to make a major donation to an institute of higher ed, and that it should always be toward a specific goal. Gladwell does mention in this episode that there is a time and place for contributing to top universities – referencing a period in Canada’s history where he felt this was appropriate. Sure, it’s not much of a qualifying statement – but, you have flattened his argument and more importantly… you may have missed the real point. Within this context, a trickle-down perspective on education contributions looks absurd. Gladwell is ultimately a broad brush strokes storyteller. Its part of why he relies so heavily on analogies – he likes to tickle our thinking on complex issues with simplified parallels. So, sure – you can ding him for his qualifying statements and disclaimers being anemic (he goes outright ham-fisted a couple times in episode 5 and 6 of this season), but to fixate on that exclusively out of context is like getting rejected by a publisher because your manuscript had too many errant commas. It’s not necessarily wrong, but it’s misguided and myopic. I agree with Marcus. The context of Gladwell’s critique of “strong link” thinking in educational philanthropy is the great barriers that people from lower-middle income class face. You say “Gladwell curiously misses the moral argument”, but that’s because, in a sense, he already made it in the earlier podcast, “Carlos Doesn’t Remember” (the first part of Gladwell’s three part series). Implicitly, he is saying that the moral imperative is to help these underprivileged people. And that’s why we shouldn’t do so much “strong link” philanthropy. It’s not helping these people as much as the “weak link” philanthropy could. I appreciate your critique of Gladwell’s argument. It’s cool to see people engaging with these important subjects that he brings up. However, I disagree with your point, and I agree with Marcus: context is important, and it answers some of your questions. You say, “In the podcast, he curiously never makes the more obvious moral argument”, which is effective altruism. However, in a sense, he did make it in an earlier podcast, and it hovers over this podcast. In “Carlos Doesn’t Remember”, the first part of his three-part series, he recounts the sad tale of Carlos, who highlights the many barriers that talented people from lower/middle income class encounter when trying to get better education. The moral of the story is clear: it is wrong that it’s so hard for these people to get good education, and we should try to fix that. What can we do? One answer, Gladwell implicitly says, is to promote “weak link” philanthropy rather than “strong link” philanthropy; the former will help a lot more poor kids get good education. The context, therefore, is the moral imperative to help the underprivileged. Perhaps what Gladwell could have made more clear in this podcast is that he wants billionaires to do “weak link” rather than “strong link” philanthropy because the former will help more poor kids get good education. He doesn’t say it explicitly, so it seems like he is simply criticizing “strong link” philanthropy for its ineffectiveness. In any case, thanks for your thought provoking article. Your argument is flawed: The reason Harvard and Stanford haven’t cured cancer is not related to how much money they have. If money were the issue, then Harvard or Stanford researchers would have already cured cancer. If one wanted to give money to cure cancer, I think it would arguably make far more sense to give $100M to a state school who would then have the funding to put thrown their hats into the cancer research ring. Harvard and Stanford aren’t going to stop with their research (nor are they going broke), and we have another institution helping out. Doesn’t this sound better?